From Facebook, to Twitter, Google+, Instagram and YouTube, companies continue to showcase a variety of creative ways to celebrate milestones across their social media sites. While not as common, Pinterest also offers a unique visual opportunity to celebrate a milestone. 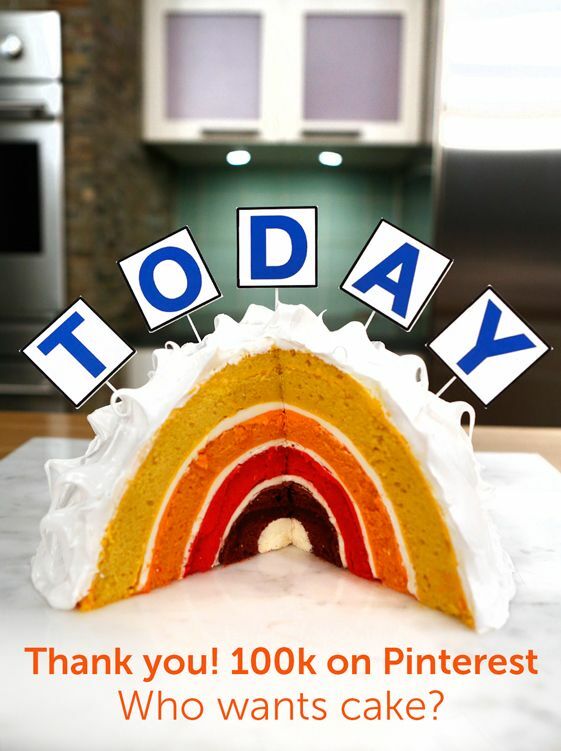 A creative example can be found courtesy of TODAY, who recently reached 100,000 followers on Pinterest and thanked its community with a colorful cake recipe. The pin features a thank you message and an image of a mouthwatering TODAY Sunrise Cake, which was specially made by TODAY’s Director of Culinary Production. Once clicked on, the pin links back to the TODAY.com website, where the reader can find a step-by-step guide on how to make the cake at home. To raise awareness for the Pinterest milestone, TODAY also shared the image and recipe across Facebook and Instagram. What’s unique about TODAY’s approach is that they didn’t just celebrate the milestone by patting themselves on the back. Instead, they took a thoughtful approach of thanking their community, while offering them a unique piece of content exclusive to the occasion. Offering a unique piece of content, experience, or reward is a fantastic way to celebrate a milestone in a way that makes it about the community. It’s also worth emphasizing that the content and messaging is in line with the user experience and preferences on Pinterest, an important best practice. Congrats to TODAY. If you have any leftover cake, send a piece my way!